Last week, Conor McGregor hit back at former sparring partner Paulie Malignaggi, saying the retired two-time champion was looking for an excuse to leave training camp. MMA star McGregor is preparing to face Floyd Mayweather in a Las Vegas boxing ring on August 26 in what could be one of the richest fights in history. 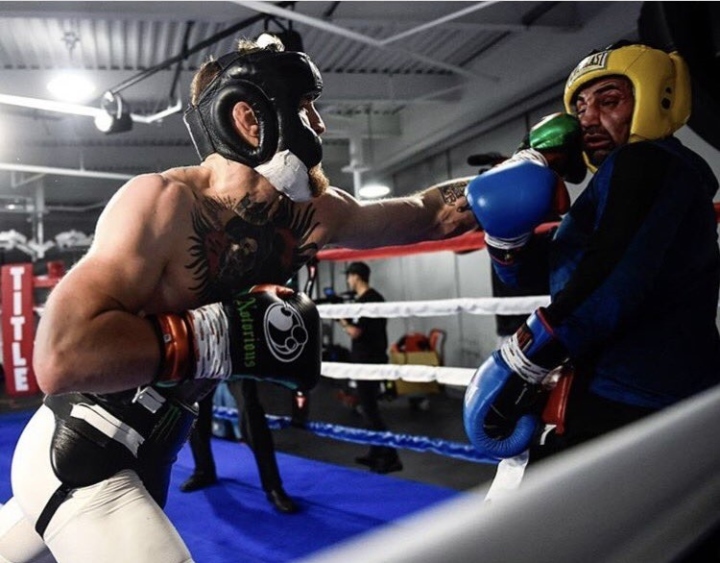 McGregor has never boxed professionally so he brought in several sparring partners to help him get ready to take on the undefeated Mayweather, who is considered one of the greatest defensive fighters of all-time. “He was looking for an exit,” McGregor said of Malignaggi at his training facility in Las Vegas. “The spars were not good for him. He took a lot of head trauma. Straight after it we were worried. The sparring partners were actually telling us when he was dropped back at the home that he was stumbling out of the car after the 12-rounder. On the other hand, McGregor's head trainer John Kavanagh is holding no grudge against Malignaggi and thanks him for the much needed help in camp. fights in 12 days, theyre going to stop sparring pretty shortly. Berto and forbes was probably their last chance to get a high level sparring partner. Conor declined lomachenko's offer. It's humorous that people who seem to watch a lot of boxing and present themselves as knowledgeable fight fans are so desperate and eager to buy into McGregor's hype.